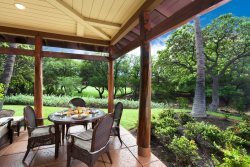 View our full collection of Waikoloa rentals, including Big Island condo rentals in Mauna Lani, Mauna Kea, and Waikoloa Beach Resort. Our full-service vacation rental company will provide you with the perfect Big Island Hawaii lodging for a stellar vacation, which includes a starter package of supplies for your rental. This includes cookware, dishes, drinkware, utensils, coffee maker, blender, washer and dryer, hairdryer, linens, AC, wireless service and basic cable TV. Most units also include a variety of beach gear (think chairs, towels, umbrellas, and water sports toys!) We also have many properties that offer pool and golf specials. The Kohala Coast on the Big Island of Hawaii offers a variety of fun activities and attractions. If you are hoping to hit the links, this area has many phenomenal golf courses. Waikoloa Beach has two championship courses that will please any avid golfer. If the beach is all you crave, we have some of the best! Our resorts give you access to quiet, unspoiled beaches. More of a resort person? We offer a large selection of vacation rentals with access to the Hilton Waikoloa Village Resort pools! Fabulous shops, gourmet dining and a plethora of natural attractions will provide plenty to do for everyone in your group. Browse through our many Waikoloa vacation rentals, book online or contact us via email or phone. We are here to help you plan a memorable vacation. 1501 Waikoloa Colony Villas. Newly Remodeled! Hale Pa'ani! Beautiful Ocean View Home. Monthly Rental Rates available.